When the after-shocks subside, call your insurance company. What types of damage are covered? Will I need to obtain estimates for repairs? While it’s OK to take steps to protect your property from further damage, you should hold off on making extensive permanent repairs until the claims adjuster (a person professionally trained to assess the damage) has visited your business and assessed the damages. Make sure you save receipts for what you spend on repairs. Prepare for the adjuster’s visits. The more information you have about your damaged property ––descriptions of as many items as possible, approximate date of purchase and what it would cost to replace or repair them––the faster your claim can be settled. To substantiate your loss, prepare an inventory of damaged or destroyed items and give a copy to the adjuster, along with copies of any receipts. Don’t throw out damaged items until the adjuster has visited. You should also consider photographing or videotaping the damage. If your property was destroyed, or you no longer have any records, work from memory. Identify structural damage to your business and any supporting structures. Make a list of everything you want to show the adjuster, such as cracks in the walls and missing roof tiles. You should also get the electrical system checked. Most insurance companies pay for these inspections. Get written bids from licensed contractors. The bids should include details of the materials to be used and prices on a line-by-line basis. This makes adjusting the claim faster and simpler. Keep copies of the lists and other documents you submit to your insurance company. Also, keep copies of whatever paperwork your insurance company gives you and record the names and phone numbers of everyone to whom you speak. After your claim has been settled and the repair work is underway. Take the time to re-evaluate your insurance coverage. Was your business adequately insured? Did you have replacement cost coverage for all of your assets? Talk to your insurance agent about possible changes. Have an emergency response plan. Determine your evacuation routes. Establish meeting places. Keep emergency phone numbers handy. Develop a communications plan. Designate someone to serve as a contact person for your employees, customers, and vendors. Phone and email in your area may be down following a natural disaster, so ask an out-of-state friend, colleague or relative to serve as a post-disaster point of contact. Backup your business records. Make copies of your any vital records and store them someplace safe. Use online backups for electronic data, and keep paper documents in a fireproof safety deposit box. Create a disaster kit. Put a flashlight, a portable radio, fresh batteries, fresh first-aid supplies, non-perishable food, bottled water, a basic tool kit, plastic sheeting and garbage bags in a bag or box someplace handy, in case of emergency. 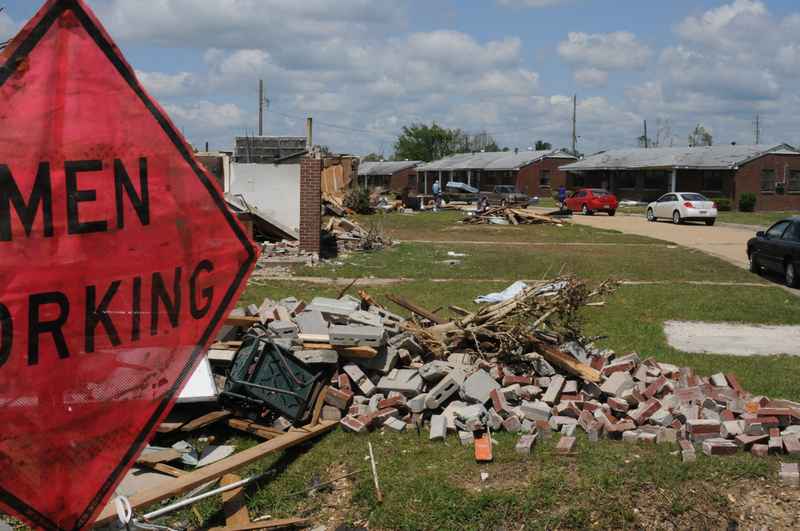 Encourage your employees to prepare disaster kits for themselves and their families.